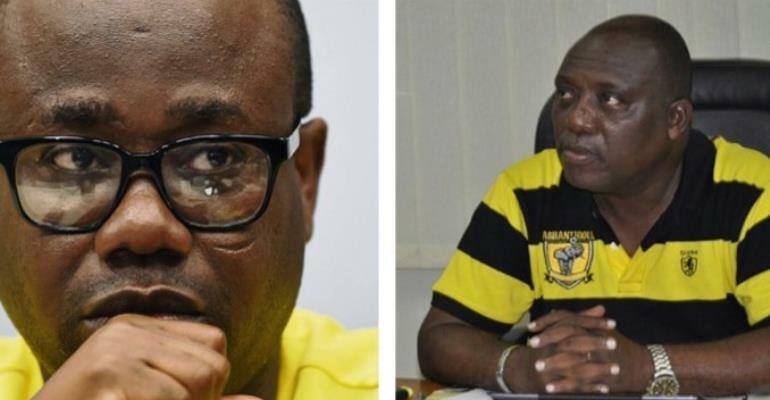 The Chairman of the Ghana League Club Association [GHALCA], Kudjoe Fianoo has described the president of the Ghana Football Association, Kwesi Nyantakyi as an immature leader. After Mr Fianoo questioned the attitude of the Ghana FA’s president attitude towards the development of football in the country, Mr Nyantakyi took his official Facebook page to tell Mr Fianoo “Small Minds Discuss People”. However, Mr Fianoo in an interview with Accra based Atinka FM, the respected football administrator gave the clearest indication that no mature leader will behave like the way the president of the Ghana Football Association is managing the affairs of Ghana football. “I made a comment and if anybody thinks I am wrong, I am ready to apologize. “Why does Ghana football keeps on retrogressing under this administration? If they claim they have great minds to lead our football, I need somebody to tell. “The way and manner Kwesi Nyantakyi is behaving no matured leader will do that and I am ready to apologize if anybody tells me we are seeing the best of football in the country,” he added.